Here’s something I hope you will look forward to: I will shortly be moving this blog to a new website (http://myfiveromances.com) with a more vibrant and modern layout, using a variant of the Soledad theme which I and three other journalists use in our travel magazine-style website, Time To Wander. If you have not yet wandered there, please take a look! The change is overdue: I started this blog in late 2012, using the TwentyEleven WordPress theme, as a way of branching out from an old-style print journalist to a … well, an old-style print journalist with some digital and social media skills. But it was also to force me to get back in touch with languages that I had studied but had neglected, and to learn some new ones along the way. Five romances is a bit ambitious: perhaps three would have been better! The first couple of years were promising as the number of visitors shot up and doubled from 2013 to 2014 but after that I had to throw my energies into getting Time to Wander up and running, as well as taking on exciting but very demanding new roles in print journalism and getting my diploma in teaching English as a second language. My posts became infrequent and my romance language skills waned. I am looking forward to starting afresh, and aim to have the new-look My Five Romances up before Easter, when I will be travelling to Portugal and Spain, to be immersed not only in Portuguese and Spanish but the Galician language, Gallego (sometimes written as Galego), which is similar to Portuguese. Hopefully the locals will understand me when I ask for prawns and custard tarts. Thank you for being part of this journey. Bear with me in the meantime. Cheers! Hola amigos! The Spanish film festival is winding up in Australia (although Perth has three more days to go). I caught seven films in all on top of a busy working schedule, so me siento orgulloso de mi mismo – I am feeling pretty pleased with myself. The film chosen as the opening night special The Tribe – La Tribu, (click here for info and trailer) proved every bit as fun as anticipated. It’s a great feel-good movie. Here’s another that I highly recommend. It’s actually the Spanish remake of a film made in Chile in 2016 and was such a hit that a Mexican remake soon followed, and now Spain is getting in on the act, with the marvellous Maribel Verdú (pictured above, at right) playing the lead. (Read about all three versions here). I haven’t found a subtitled trailer for this yet, but you’ll get the gist of it anyway. On IMDB (the Internet Movie Data Base) the film is listed as “Empowered”. In the film Maribel Verdú has a whale of a time going from a as-meek-as-a-mouse downtrodden woman named Paz to a lioness who roars and lashes out with her claws: revenge proves to be very sweet and satisfying. Much of Paz’s new-found courage is down to a mysterious potion that she is given by a shonky guru whose mysticism – and some prominent advertising – somehow lures her into his den. He warns her to take only a sip, but she downs it in one go. Will she need her stomach pumped? And will she lose all her strength after it has passed through her digestive system? Or is it really the potion that has such a radical effect? Maybe the mental strength has been in her head all along, just waiting for something to unleash it. Either way, the leash comes off the results are hilarious. The film had the audience in stitches of laughter, and it’s much funnier than the trailer above suggests. Some of the best scenes involve her and her insufferable pompous, pretentious painter/artist of a husband (a superb performance by Argentinian actor Rafael Spregelburd) who seems to be suffering a chronic case of the artist’s equivalent of writer’s block. But Paz, too, proves a dab hand with the paint, and the scene where he finally gets his comeuppance is a treasure. Anyone who has ever been bemused or befuddled by modern art will be tickled pink with the outcome. If you happen to be a cat lover (or are exasperated by cat lovers) you should also see this film – I’m not going to say any more. Hello Romance language lovers, here is another revision sheet (I use the tag “revision” for this series), culled and simplified from previous posts. The info has also been put into each language’s Grammar section on the main menu. For more on nouns and how to use articles in French, go here. as is used with feminine plural nouns (as canetas = the pens). For more on nouns and how to use articles in Portuguese, go here. For more on nouns and how to use articles in Spanish, go here. gli is used before any masculine nouns beginning with a vowel, z or s+consonant (gli amici = the friends, gli zii = the uncles, gli studenti = the students). le is used with feminine nouns, even if they begin with a vowel (le amiche = the female friends, le madri = the mothers). For more on nouns and how to use articles in Italian, go here and here. Romanian has masculine, feminine and neuter nouns. Neuter nouns behave like masculine nouns in the singular, but feminine nouns in the plural. The formation of plurals in Romanian is not as simple as in the other Romance languages, there are a number of options depending on whether the noun ends in particular vowels or consonants. Spelling and phonetic changes can occur. The definite article is a suffix (attached to the end of the noun), and again the suffixes can vary depending on what vowels or consonants the noun ends in. And because it is a suffix, the plural forms of nouns taking a definite article will be different to the plural forms used with the indefinite nişte above. Here are some typical examples. Masculine nouns: the singular suffix is typically –l, –ul or –le, and in the plural it’s i.
Neuter nouns: the singular suffix is typically –l, –ul or –le, and in the plural it’s always –le. For more on nouns and how to use articles in Romanian, go here and here. So, where would we like to be chatting up the Spanish speakers? We could be in one of the big cities in Spain, such as Madrid, Barcelona or Seville, or in one of that country’s many lovely lesser known cities, such as Salamanca or Cáceres (see my travel piece on the latter here). But you could just as easily be somewhere in South America. 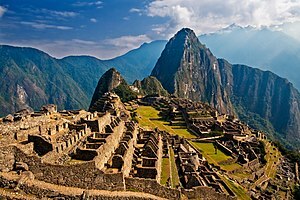 How great it would be to have a conversation at Machu Picchu in Peru, for example, or in Quito in Ecuador or Cartagena in Columbia, which I have heard are well worth a visit. Alas, the only parts of Spanish South America I have been to are Buenos Aires and nearby Tigre, where the great Paraná River forms a delta as it empties into the Rio de la Plata. As for the reach of Spanish, there is Central America too, of course, and it is now an important language in the United States. If those places don’t take your fancy you could head to Cuba and other islands in the Caribbean. 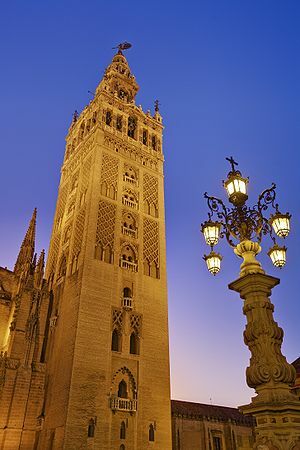 One thing is for sure, there are many exotic places where you can practise your Spanish. Right, let’s get started (to begin is empezar or comenzar). When you first greet someone you say buenos días, buenas tardes or buenas noches – note that the Spanish are very generous and they do not wish you one good day, afternoon or night, they wish you many. Isn’t that wonderfully generous. You can see from the agreement of nouns and adjectives that día is a masculine word and that tarde and noche are feminine. More casually you could just say hola, hello. To ask how are you?, you would say cómo está? If you are unlucky the answer to this may be no me siento bien, meaning I don’t feel very well, but hopefully you will get muy bien, gracias. Y usted?, as in very well thanks, and you?. Less formally, if you were chatting to a friend, you would say cómo estás? and the answer back would be muy bien, gracias. Y tú? See my explanation of which ‘you’ to use. Bien is a key word which has many uses, most of them to do with wellness, but one of the more unexpected uses is bien … bien for either … or: for example, bien en coche bien en tren, either by car or by train. And bien can mean very, as in bien caliente, meaning very warm or hot. Incidentally (a propósito), the word for morning is mañana, and you are probably familiar with the expression hasta mañana, meaning see you tomorrow (as in the sense of until tomorrow). Some expressions that I hope you will use often are estar de buenas, to be in a good mood, and que pase un buen dia, have a nice day. Right, this post is the follow-up to the one looking at the verb “to have” in the other three of my five Romance languages (luckily I stopped at five, methinks). Unlike French, Italian and Romanian, both Spanish and Portuguese have two verbs meaning “to have”, just as they have two “to bes”. The Iberians like to have two of everything! Let’s look at how they are conjugated in the present tense, starting with ter in Portuguese and tener in Spanish. Again, I will put the singular persons on the top line and the plurals underneath; in the third person the masculine form will precede the feminine. Among the useful things you can say with this verb are: tenho fome (literally, I have hunger which would be translated as I am hungry), tenho sede (I am thirsty), tenho frio (I am cold); tenho sono (I am sleepy), tenho um sonho (I have a dream), tenho vinte anos (I am 20 years old – which is a blatant lie coming from me), tenho dinheiro (I have money). In Portuguese to make the negative you put não before the verb: (eu) não tenho dinheiro, meaning I don’t have any money. Tenho followed by de and an infinitive means I have to do something. For example, tenho de partir agora, I have to go now. Note how, unlike in English or French, in Portuguese you don’t have to use the subject pronoun if it is clear from the verb ending which person is doing the action. For example, the eu in eu tenho razão (I am right) can be dropped and tenho razão will suffice. But if you used the third person version tem razão it could mean he is right or she is right, so it would be better to be specific and say ele tem razão if he is right, or ela tem razão if she is right. And if it is an argument between a man and a woman, just remember the woman is always right! Ok, let’s cross the border into Spain…. The uses in Spanish are similar: tengo sed (i am thirsty), no tengo suficiente dinero (I don’t have enough money). The negative ‘no’ or ‘not’ in Spanish is no – that should be easy to remember. Portuguese also has the verb haver (the present tense verb endings are: hei, hás, há, havemos, hão) and Spanish has haber (he, has, ha, hemos, habéis, han). Here on YouTube is a pretty good explanation from the guys at about.com of its use and its pronunciation in Spanish. And for Portuguese lessons with a dash of eccentricity and a view of Lisbon thrown in, you have to go to woltersworld on YouTube. It sounds like he has learned his Portuguese in Brazil. Here it is. 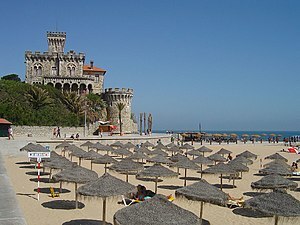 Hope to spy you on the beach at Estoril one day. 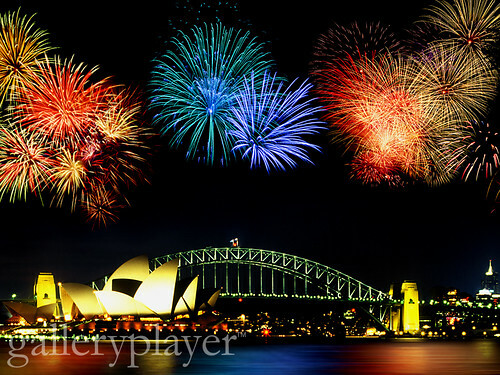 Happy new year from me and My Five Romances in Sydney, Australia (hence the choice of pic). I hope you haven’t got a hangover – une gueule de bois if you are French, uma ressaca in Portuguese, una resaca if you are Spanish, postumi di una sbornia if you are Italian and o mahmureală if you have been imbibing too much in Romania. I have a hunch that 2013 will be a good year, better than its predecessors. It’s going to be great! I wanted to find an uplifting piece of music that would set the tone for the year ahead, and have opted for one by a Romanian band called Voltaj (yup, you guessed it, the Romanian word for “voltage“). Although it’s a stirring kind of anthem aimed specifically at Romanians, I like the sentiments – no more settling for second place, it’s time to step up to the winner’s podium, everyone can be a champion. The song is entitled MSD2 which, guessing by the translation of the lyrics, is short for mai sus de 2, or “above 2“. This is taken from a YouTube posting by “SkadiSubs” and the lyrics in Romanian and English can also be found in the “info” section there. It’s very catchy, enjoy. Being Italian … is your ego under control? 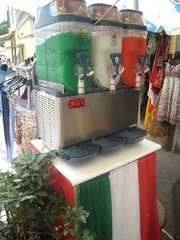 The only other time I was in Italy after that was another family holiday and this time I was in my mid-teens. On our last day, we had checked out of our hotel and were getting into a taxi when the hotel manager came running towards us. “Quick, quick, get in, hurry” my dad said, trying to bundle us into the cab and urging the driver to speed off for the airport. “He probably wants more money. Pretend not to notice him.” But it was too late. The manager caught up with us. “Your passports,” he said, waving them in the air. “You forgot your passports!” The moral of the story, I think, is to trust an Italian, and never trust my father :). We have large Italian communities in Australia and it is always nice to go to the Italian districts for a coffee or gelato and to sample the atmosphere. If you are being a typical Italian male in Sydney then most probably you will drive down Norton Street in your souped up Alfa Romeo with a Tiziano Ferro song blazing at full blast on your sound system. As you drive along you will check out all the talent walking down the street and cast admiring glances at your own and your car’s reflection in the shop windows. 🙂 I was flicking through Lonely Planet’s Italian phrase book and it had a section on pick-up lines – Ti posso portare a fari un giro (in moto)… Can I take you for a ride (on my bike) – and how to reject unwanted advances, my favourite one being Il tuo ego è fuori controllo – Your ego is out of control. See the posting from December 21, 2012 (Hey you! Which ‘you’ should you use?) and the replies for explanations on when to use tu and Lei. It is pretty much the same as in French, Portuguese and Spanish. Now for some music. Who is Tiziano Ferro, you may ask? He is an Italian singer who has also sung in French, Spanish, Portuguese and English, so if you are interested in Romance languages you should investigate him (not sure about his Romanian repertoire, though). I first heard of him when I spotted his song Alucinado on MTV in Argentina, taken from the Spanish version of his debut album Rojo Relativo (the Italian version is Rosso Relativo, and the equivalent song title on it is Imbranato.) According to my dictionaries, alucinar is an intransitive Spanish verb meaning to hallucinate, but when used in the transitive it can mean to deceive or to fascinate. But imbranato in Italian is an adjective meaning clumsy or awkward, or as a noun a clumsy person. Rojo / rosso means red and I think the album title must be a play on “red hot” (rojo–vivo in Spanish), so I guess it means the more modest and self-effacing “relatively hot”. But I could be wrong. Anyway, here are the links to the songs in Italian, Spanish and French, and it is the chorus that is the making of the song, really, in my opinion. Which do you prefer, the Italian, Spanish or French version …. is one language more musical than the other? In researching this I have just found out Tiziano recently revealed he is gay so maybe those macho Italian boys won’t be playing his music so loudly while cruising down Norton Street after all.